This sacred treasure contains the power of quiet tranquility. Capable of forcing even the fiercest of gales to its will, it cuts an appropriate figure in the hands of whoever rules the rampaging heavens. 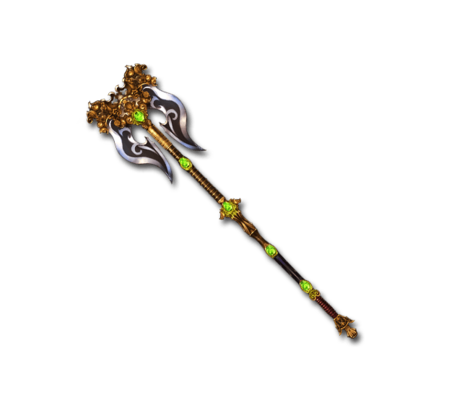 This weapon cannot be reduced until Step 1 of 5★ uncapping Fif has been completed. This page was last modified on 23 October 2018, at 18:34.